Now you may wonder why I am doing a book review of Business Sutra by Devdutt Pattanaik in desi Traveler, a travel blog. Now since desi Traveler loves all things desi and as I have spent my share of life energy chasing Luxmi while being a corner room critter for US companies I thought I would be able to do some justice to this wonderful book. 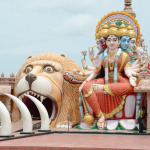 In Business Sutra Devdutt Pattanaik takes you on a mythological journey using symbols, stories and rituals to relate to how we look at doing business and how it is different from what western beliefs teach us. 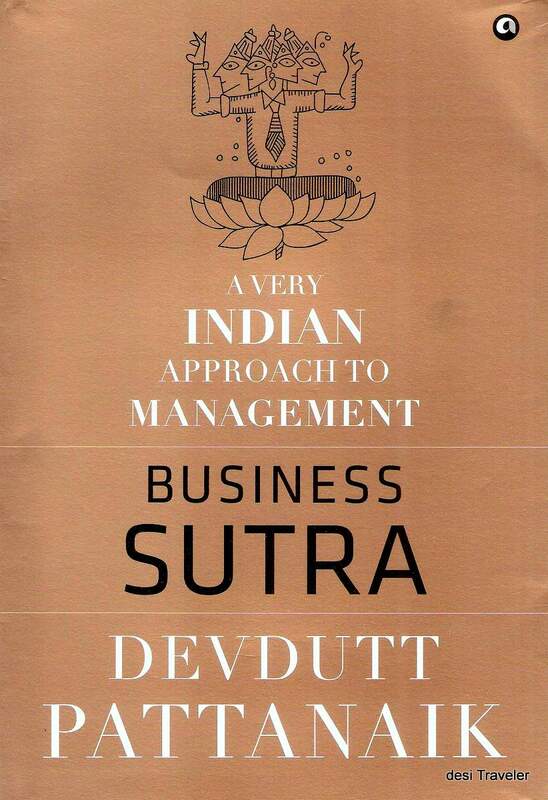 Now Business Sutra by Devdutt Pattanaik is not an ordinary book, and author who describes himself as a mythologist. And true to name the book begins with giving us a primer on comparison between the deep-seated beliefs of Indian (Jain, Buddhist and Hindu) and Western mythology that are derived from Greek and Biblical roots, and the two complimenting Chinese belief systems. You lean why the western managers have a high regard for order, while we in India are not worried with all the chaos around us. 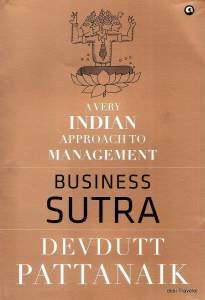 One of the basic premises of Business Sutra by Devdutt Pattanaik is that , our total management and leadership approach is completely derived from western approach to do business even in diverse and complex cultures like India. The western approach may (?) be delivering numbers and goals but is it the most optimal way of doing business in India or actually the many Indies that we have within our geographical boundaries? I realized that a lot of things that we believe are true about Indian culture actually are a result of our need to have a stamp of approval from western eyes. Hence while nowhere a holy book is prescribed in Hinduism( if there is such a thing), one fine day Bhagwat Gita was given the status, sometime when first generation of Indians were going to UK for studies. Same way to confirm to western need for a written word, the manuscripts of Manu Smriti were evacuated from the abyss of anonymity and presented as equivalent to the 10 commandments as a way of life. The first few chapters may seem a bit heavy to somebody who has no knowledge of mythology or comes with a closed belief system. This is where Devdutt excels as an author he slowly opens your mind and makes you receptive of the ideas he present. Mind you he never claims that what he is writing is true or proven by any kind of research, or these ideas will give any result if applied. He just gives his thoughts and tries to relate with day-to-day business. He is not apologetic about lack of real life case studies and does not have a preaching approach. (I think I found only one real example where he talks about cutting Chai being served in Future group companies to relate to the employee ethos). Most of the case studies that are presented in small snippets are more of his observation. Once I read the first 100 pages the real essence from the book starts emerging. Suddenly you understand what is meant by “Samudra Manthan, and the discovery of Amrit ( nectar of life) and Vish ( poison a metaphor for industrial waste) and why a balance is needed. Every thing in Indian Mythology has a meaning and is a symbol of something bigger be it the color red that the bride wears or the yellow of turmeric, the elephant head of Ganesha or the grains of rice used in pooja and yagna. One also leans why we in India are perfectly ok with multiplicity of our gods as well various versions of our mythology including the Ramayana and Mahabharata. I just loved the chapters on hierarchy and growth. Any business leader worth his salt would appreciate how Devdutt explains in Business Sutra the nuances of caste, age, tenure, qualification etc. that goes in accepting the new colleagues in general and boss in particular. Even our god men who have renounced the world want people to bow to them (suddenly it was clear to me why the Naked Naga Sadhus with not even a loin cloth for worldly passion are willing to shed blood in Kumbh mela for the first right of shahi snan or Royal Bath). The case studies on Johari window in Indian context are pure brilliant and can be used to understand ones team ( karyakarta) and bosses ( devata and or yajaman) better for a more harmonious work place. —The most beautiful aspect of the Business Sutra is about growth and why only chasing numbers is not growth. He talks about Luxmi and how just pursuit of Luxmi will never yield you anything unless you chase Narayan (the nurturer) and once the entrepreneur is looking for Narayan Luxmi follows.Devdutt uses a lot of stories, symbols and fables from Indian mythology and he is absolutely brilliant at the same, especially when he talks about Ramayana and Mahabharata. He does not tries to justify age-old beliefs in today’s world except when he talks about Brahma’s incestuous liking for his daughter, which he tries to pass on as a metaphor. Same goes for two wives of each of the deities and the need for balance in opposing forces is given as reason. Though when he goes to folklore and tales like Raja Bhoj and Gangu teli and things become a bit academic.Fortunately he comes back to his forte i.e. mythology and shines again. There are no claims of Indian beliefs being superior over any other or the opposite, simply a new way of thinking that if taken in right spirit will lead you to Luxmi by expanding your belief in growth beyond balance sheet and quarterly numbers.I would highly recommend this book to anybody who is interested in learning that there are more ways to do business than what is believed to and that pure greed for profit is not going to get you either profit or numbers. It will be useful for entrepreneurs starting their business as well as managers and leaders who need a new way of thinking to do business in India( both Indians and Expats) so that Luxmi follows them and not they needing to chase her. Or you can simply reject the Business Sutra using the reasons Devdutt Pattanaik himself gives you at the end of the book. But I this book will subtly change the way you look at people, processes and passions in life. Go for it. 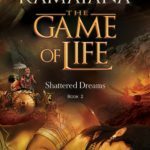 This review is a part of the biggest Book Review Program for Indian Bloggers. Participate now to get books for review! Publisher: Aleph Book Company and Promoted by Rupa & Company. Have been following DP’s blog for quite a while. Cant say that I like the packaging, but a whole lot of great case studies that are very useful not just in the modern corporate world but also in daily life. 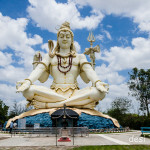 His work is important because it helps see how mythology, especially Indian mythology embodies so much of what is cutting edge business thinking today/ Loved your review, Desi Traveler. Hi Subhorup…I think the work Devdutt is doing is pioneering in many sense, he never makes a claim of any kind of definitive research or proof, but the whole concept is really good and one wants to explore it more and more. Just one example of Kauravs going for muscle ( Narayani Sena) and Pandavs opting for the Strategist ( Narayan) tells you what decides the winner in corporate wars. Thanks a lot. Devdutta Pattanaik is one of my favorite author. The way he connects the real world to the mythological world is absolutely brilliant. By your review, this book looks like a great read. The way you constructed your post is very nice. I have also reviewed one of his book (The Pregnant King)in my blog. Kindly let me know your views of it. 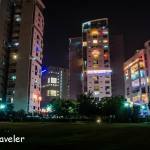 Hi Avinash..Welcome to desi Traveler. You are right, Devdutt Pattanaik has built a great niche for himself in a field he loves and is master. 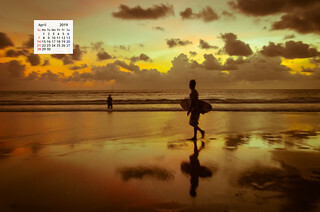 Will check your post on your blog. First of all Thanks for puting down this review in your blog. Connection between mythology and business is something which was unimaginable . But now we have one authir who has done that. I don’t know what I will feel about the matter in the book but definitely for a person like me is a must read. 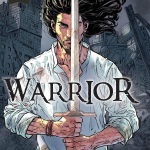 Hi Vishal: This is a great book and reconnects us with our roots and how we need to look for Narayan and Luxmi always follows. Just search for Luxmi is not the right way to manage or do business.